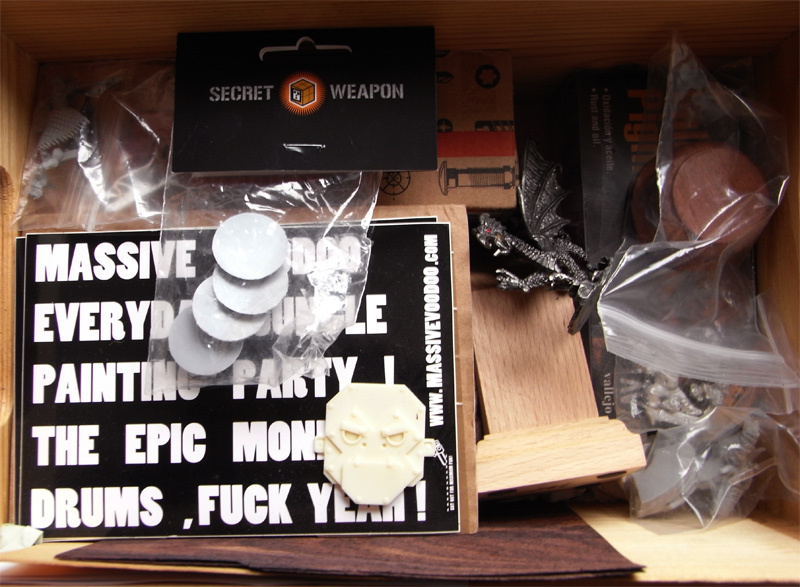 It is time for the next MASSIVE VOODOO CONTEST!!!! AAYYYAYY!! Dsching! Dsching! Klip! Klap! Dsching! What you got to do? - Find yourself a figure of a knight, mounted or dismounted in scale 1:35 (54 mm). Not those great and beautiful sculpts you can get around the corner, from example Pegaso Models. No, we mean those soft plastic ones, like this one. - You and your friends (get a box together) are invited to do conversion of your knight or not, as you like and whatever you can imagine (light saber action for example), BUT it should be easily to see that you have used such boydream knight of plastic as the basic body. - Your goal is to enjoy the fun we experienced while doing such a stupid project, back to the roots of it all, back to where it all started when we have been girls and boys - i was like 8~10 when i charged my friends in knight armour on a wooden horse and really made the experience that working with such a simple model makes really, really happy - a great fun! Feel invited to do yours. 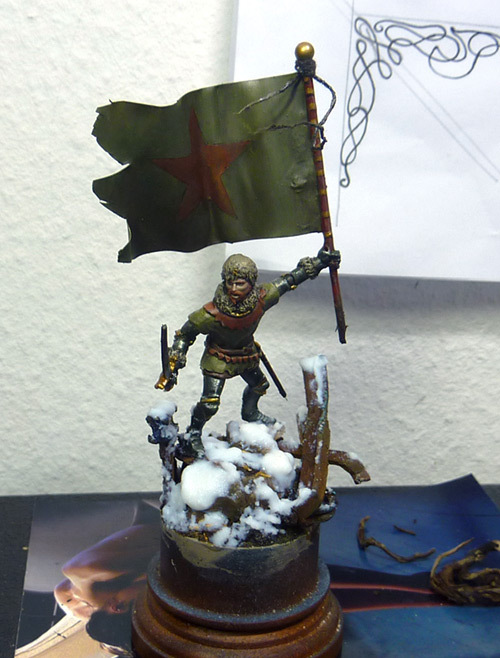 - There are no rules, you can paint and convert whatever you want! Even a plastic knight fighting a plastic dragon with a fork!! for your entry is the 28th of November 2011, day and night. 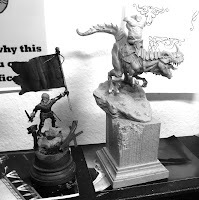 Sent your photo presentation of your model with at least 3 different angles of the model (for example: front, back, left side) to jarhead---massivevoodoo---dot---com and see your entry confirmed. Sent via Email and use "Ultimate Knight Challenge - *your Knights Name*(for example: Sir Gregory Thunderhammer)" as subject. Who can not take part? Raffa and Roman of the Massive Voodoo Crew won't take part as we are the JUDGES! Yes Man! THE JUDGES OF KNIGHTS!!! Everyone else is allowed with one entry only!! The judges of the contest will be Raffa and Roman of the Massive Voodoo Crew and some more of the Ape Gang if they'll let me know. Judging will be done from the heart - which entry hits the spot. Judging will be done in the following days after the deadline. 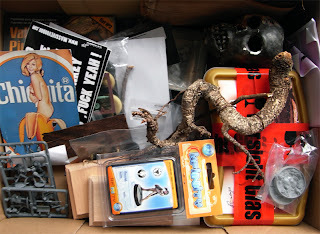 ----> included in a Jungle Surprise box with tons of stuff for your hobby joy! Thanks to the Sockelmacher.de for the support! A smaller Jungle suprprise box - with joyful stuff for your hobby. Thanks to DieVincis for the support! Please feel free to ask in the comments! Hey, might have a go at this! Are models like GW Bretonian Knights/Dark Elf Cold One knights acceptable for this? 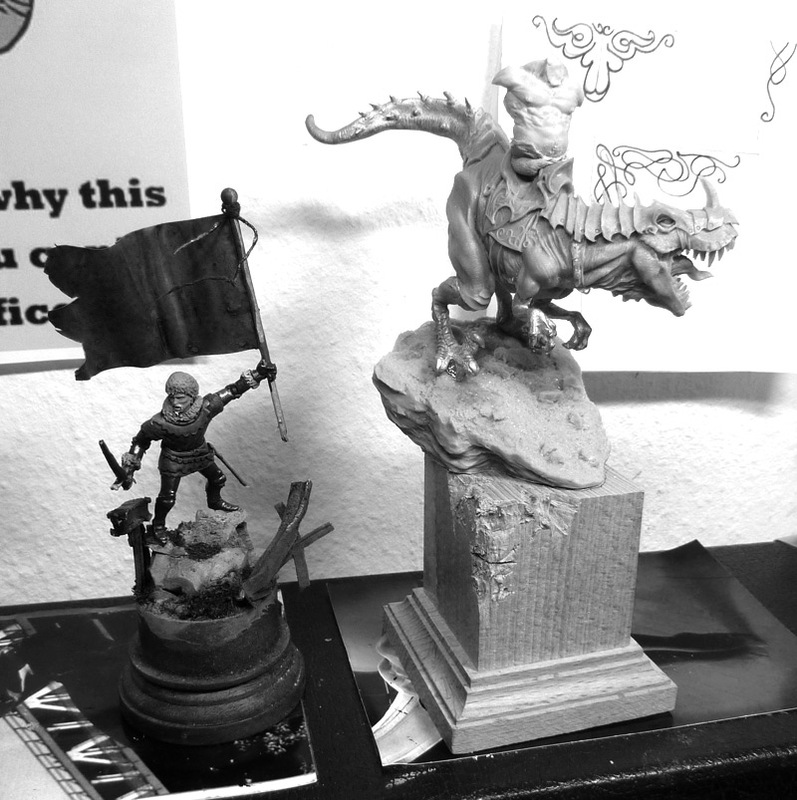 GW Models have a far smaller scale than 1.35 - the rules say: Find yourself a figure of a knight, mounted or dismounted in scale 1:35. Roman kommen noch Regel auf deutsch (oder italienisch)? 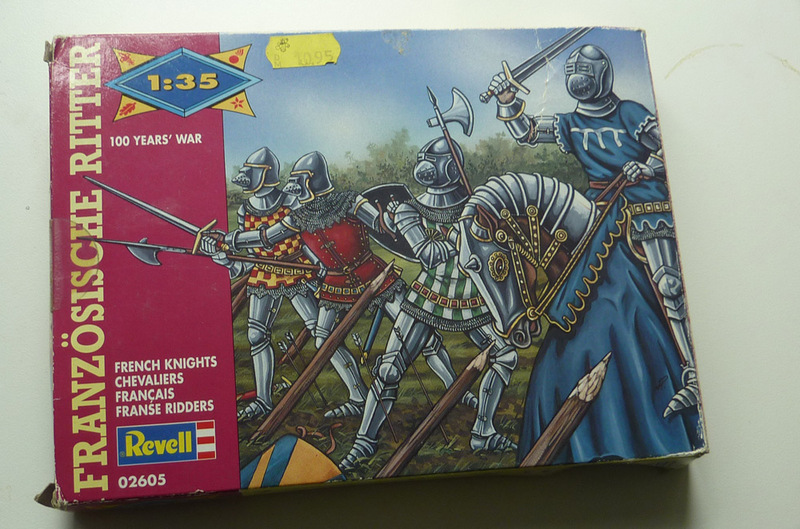 @ Anonymous: Try ebay, search for "Ritter 1:35" I just found a few, the cheapest set is 60 knights for 1,99 € !!! So, are "1/32", "1:32", "1/32nd" allowed? Confirmed: 1:32 is also allowed !! I will have to go hunt for these little guys ^^ Are they mainly available in Europe? 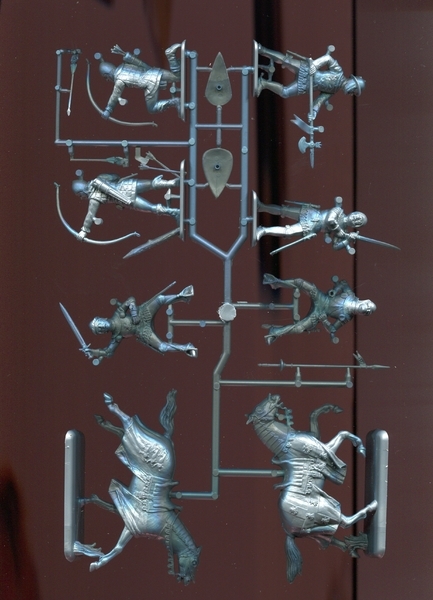 Would Italeri Gladiators - http://www.lokomodele.pl/images/IT6869.jpg - be suitable for this competition, or only Knights are "proper" ? Can I please check if these are too small? 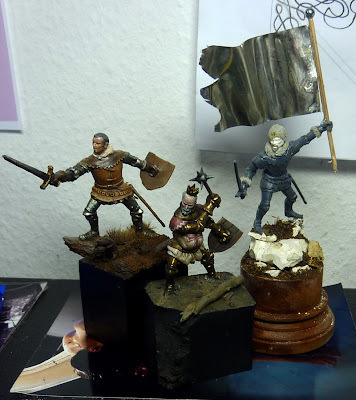 I am starting a little diorama, in any case, but I cannot spare any true 1/35 figures, presently. If they are not suitable, NP, please let me know, and I will look forward to seeing all the entries. Does it have to be a european knight or are also arabian "knights" allowed? It's hard to get these ... and shipping is 3 to 10 days at best. I hope I can make it in time. Yeah! Your entry just recieved !! Can I enter the knights in the pics, or not, please? Sorry for the late reply - this question wasn't caught by my reconnaissance - yes you are allowed to enter them! Assume it's been extended due to lack of entries. Or is there another reason? Ihr Säcke. Ich hab heute nen Tag Urlaub genommen, um fertig zu werden und ihr verlängert die Abgabe. Fun competition that got me painting something I never would have thought of. 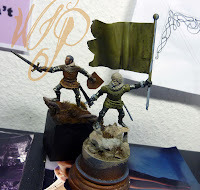 Where in the united states can i buy these figures in this csale because i can not find them on the internet? Sculpting Rage and Finished Stuff!